There is so much in history that I’ve never learned or hasn’t been taught. It never ceases to amaze me when I stumble upon an account of an historical event that escaped me previously. I have two examples of that today, set a mere 50 years apart, but in worlds that seem centuries apart. In the early 1800s, America was a fledgling nation with little clout on the global stage. We had won our independence from England, but were still largely considered a British subsidiary nation. Earning a place a world power would take another war and unparalleled diplomacy. 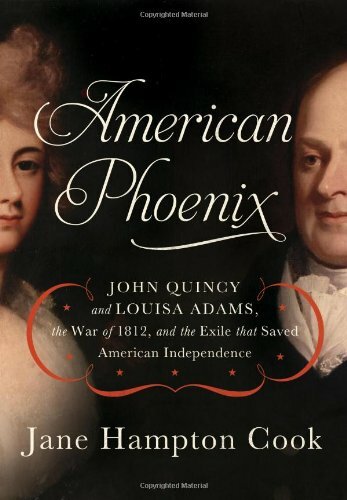 Both requirements were fulfilled by the War of 1812, an oft-overlooked engagement that provided a platform for the United States to flex their military might and for John Quincy Adams to demonstrate a diplomatic deftness that shifted the world powers. Cook weaves historical research, private diary entries, and personal correspondence to craft this tale of American establishment. This book is quite thick and the pages are flush with facts and speculation, but it reads (at times) like a well-worn paperback novel. (It is quite dry other times, but it balances out.) American Phoenix offers an in-depth look at incredible acts of heroism from a future first family at a crucial time in history and provides a new level of appreciation for America’s position as a global power. It will take a while, but it’s well worth the read. Fifty years later, America found itself in the midst of another crisis of identity. This time the struggle was from within, as the nation was divided over the issue of slavery. And though the assassination of Abraham Lincoln is covered in most history classes, the details are often glossed over and rarely shared. 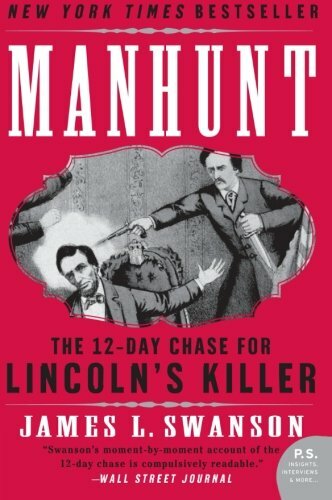 Swanson fills in the gaps with an extensive exploration of the events before and after the heinous act. This topic has become quite popular in the culture as of late and it’s no wonder why. This is a fascinating piece of American history and this book captures it quite well.